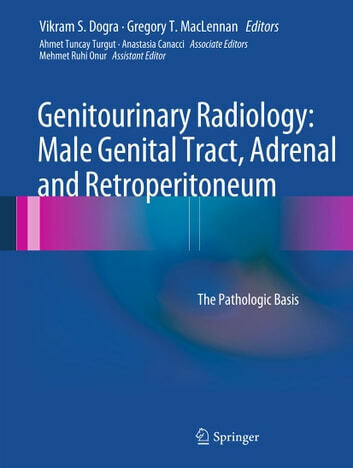 Genitourinary Radiology: Male Genital Tract, Adrenal and Retroperitoneum: The Pathologic Basis provides a lavishly illustrated guide to the radiologic and pathologic features of a broad spectrum of diseases of the male genital tract, adrenal glands and retroperitoneum, including the entities most commonly encountered in day to day practice. 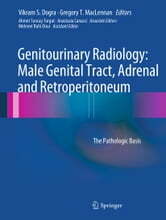 The editors are authorities in the fields of genitourinary radiology and pathology, and the authors of each chapter are renowned radiologists, with pathology content provided by an internationally recognized genitourinary pathologist. General, plain film, intravenous pyelography, ultrasound, computed tomography, magnetic resonance imaging, nuclear medicine imaging and PET imaging of each disease entity are included. Accompanying the majority of the radiological narratives are complementary descriptions of the gross and microscopic features of the disease entities.